To help Camden County residents protect the environment, the Freeholder Board is hosting an Electronics Recycling Collection on Oct. 1. 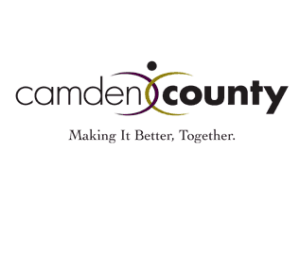 Residents can bring items to the convenient drive-through collection site at the Camden County Public Works Complex, 2311 Egg Harbor Road in Lindenwold, from 8:30 a.m. to 12:30 p.m. In order to keep electronics recycling collections free for Camden County taxpayers, older style televisions and computer monitors that contain Cathode Ray Tubes (CRTs) and all rear projection TVs will no longer be accepted. Flat panel TVs and monitors will continue to be accepted at no charge, along with items such as computers, keyboards, VCRs, scanners, DVD players, tape players, stereo equipment, typewriters, printers, laptops, modems, telecommunication equipment, fax machines, radios, answering machines and telephones. “It is the legal responsibility of manufacturers to cover all costs of recycling and disposing of items containing CRTs”, said Freeholder Jeff Nash, liaison to the Camden County Division of Environmental Affairs. “We are standing with other counties in refusing to pay for what is the manufacturers’ responsibility. Electronics manufacturers are mandated to provide a free and convenient way to recycle what are referred to as “Covered Electronic Devices”, which includes CRT TVs and monitors”. For information on disposal of these unaccepted items, please contact the New Jersey Department of Environmental Protection at (609) 984–3438. Residents can an also contact their local electronics retailer for information on their individual collection guidelines, or donate working equipment to Goodwill. If you have any items that are in question, please call the Division of Environmental Affairs at (856) 858–5241.